The reason I took note of our arrival time was because at around 6 pm the air planes changed direction of coming and going. We had the opportunity to watch them take off right over our heads as well. We even saw a helicopter land. We spent a lot of time watching air planes land and take off but that was not the only exciting part of this park. 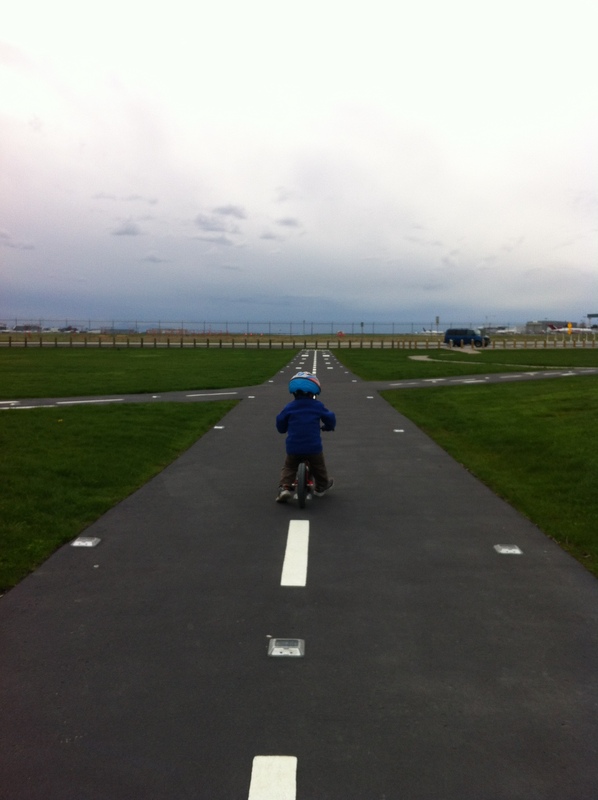 They have a great little mock air strip for children to run and ride bikes on. My son had a blast pretending to be an airplane and even tried to keep up with them as they flew over head. 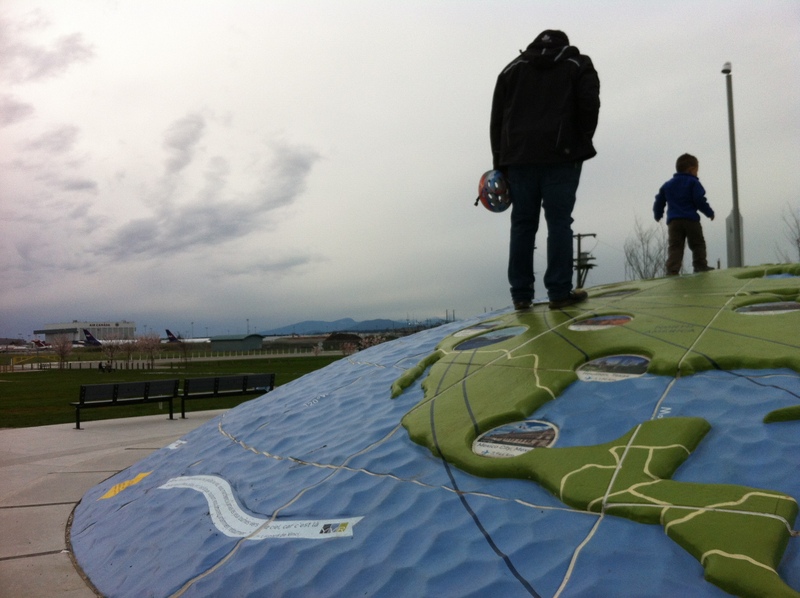 There is a really neat dome globe with a whole bunch of flight paths that planes take from the YVR air port. This dome is surrounded by poster flags that have facts and interesting information about the comings and going-ons at YVR. There are not many picnic tables but there are a lot of park benches and large grass areas for picnic blankets. They have garbage bins and recycling but no public restrooms. Our family keeps a small portable potty in our Van for those emergency situations with toddlers but sorry mom and dad, you have to hold it! There is not a lot of parking but if the spots are all filled just get back on the main road and immediately take your first right. There is street parking along the field. over all for our two toddlers we would rate this park as a must for all airplane lovers.